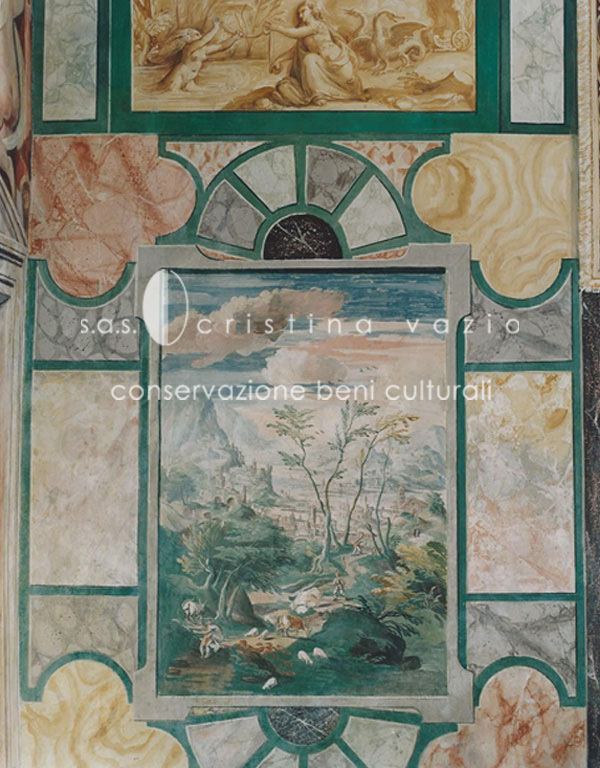 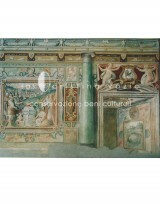 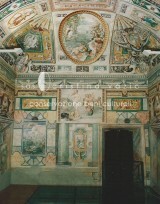 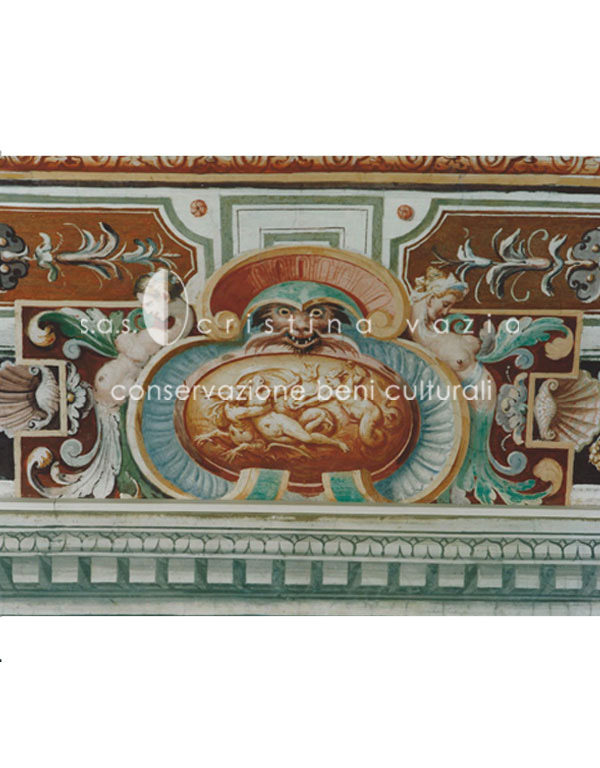 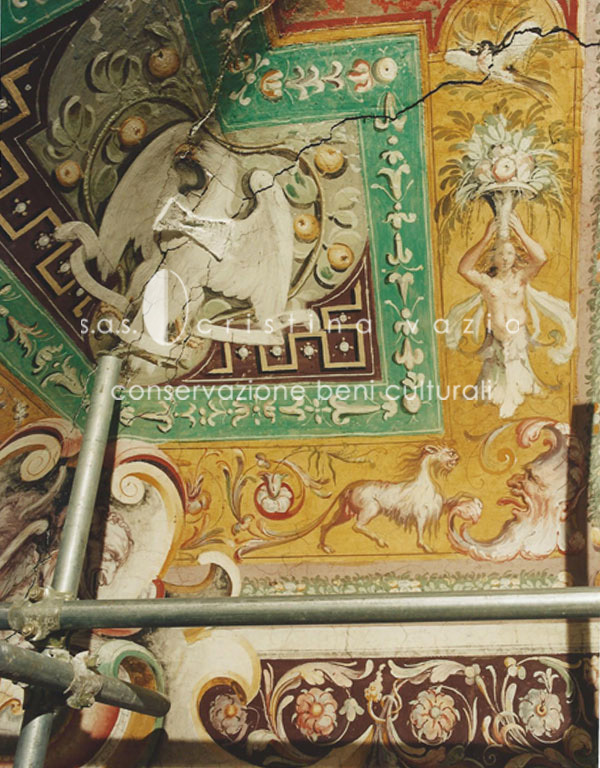 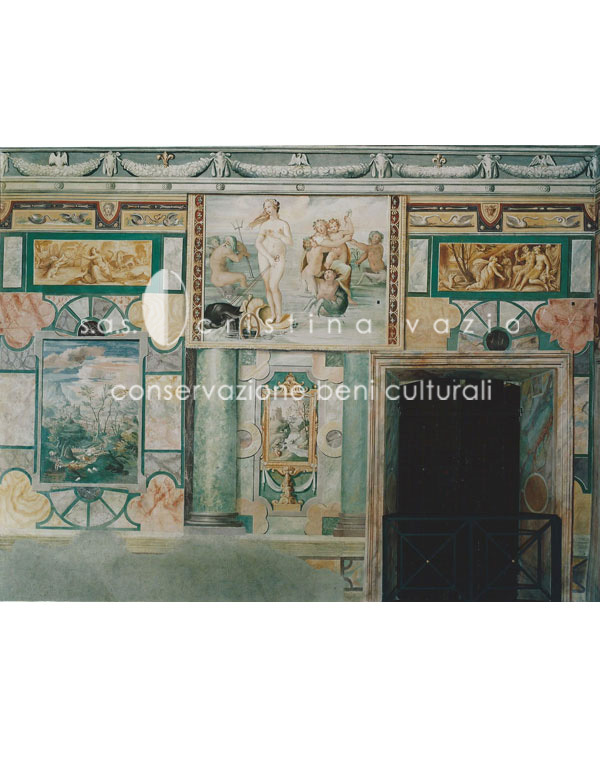 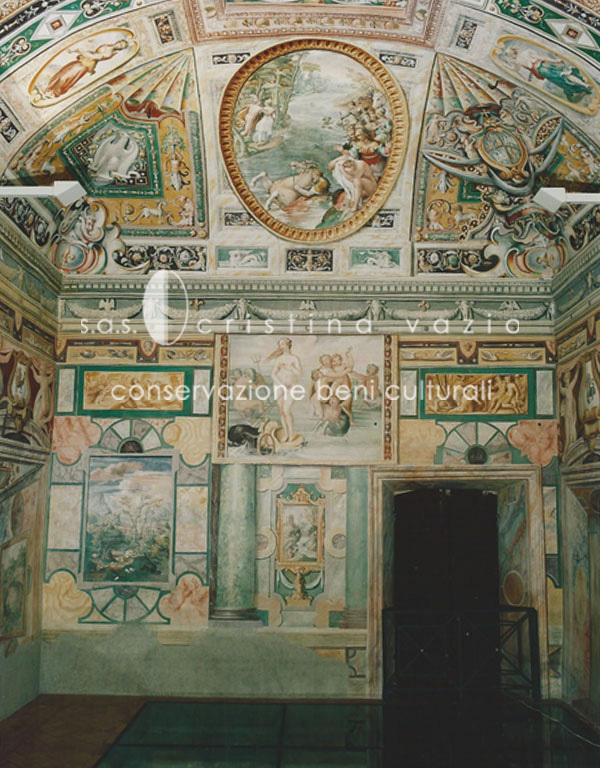 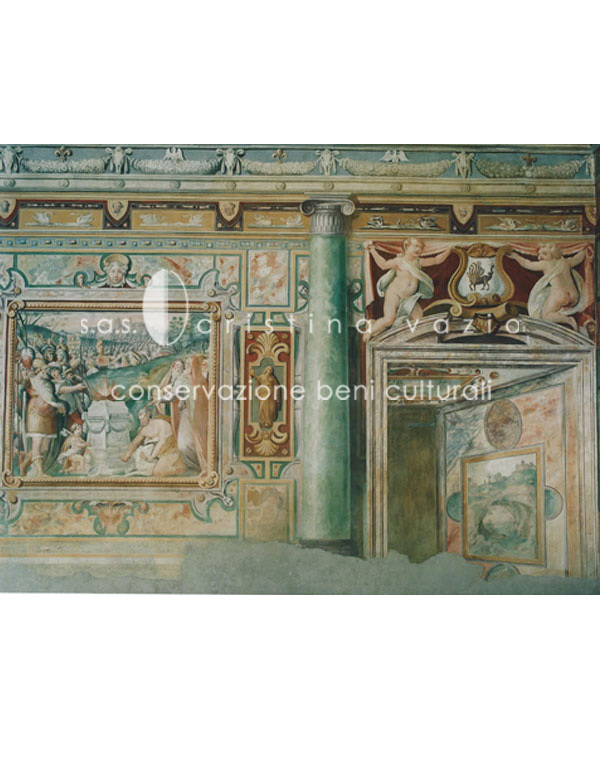 Federico Zuccari, Ludovico Agresti, Cesare Nebbia, and Girolamo Muziano collaborated on the frescoes of the Hall II Tiburtina in Villa d’Este in 1560, according to typical execution and design transposition for frescoes of the 15th century. 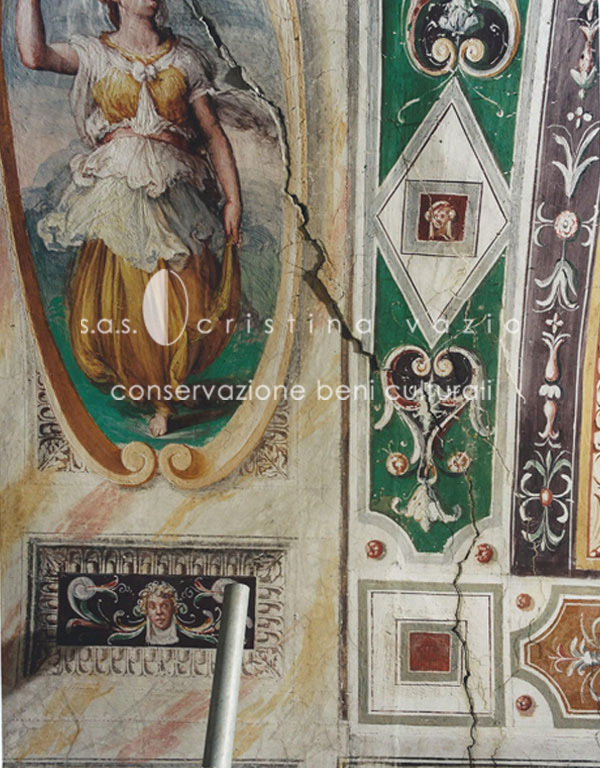 At the time of our intervention (see CV Attached), the paintings were in good state of preservation, with the exception of the skirting board that had almost dissolved and long fissures on the walls around the edges. 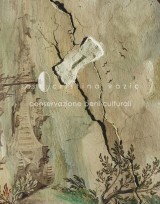 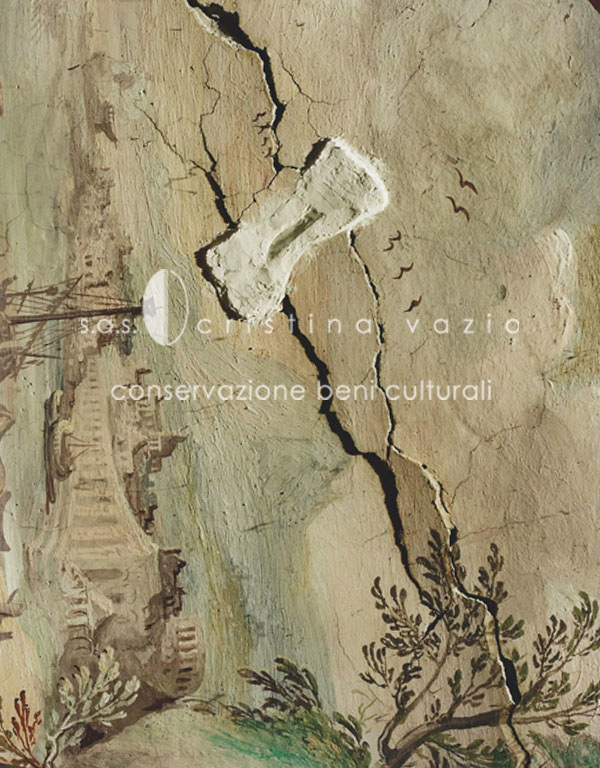 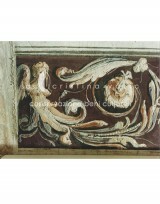 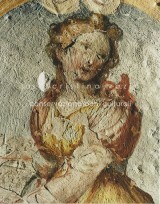 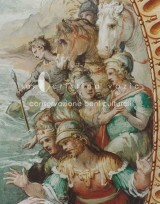 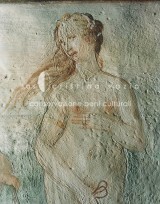 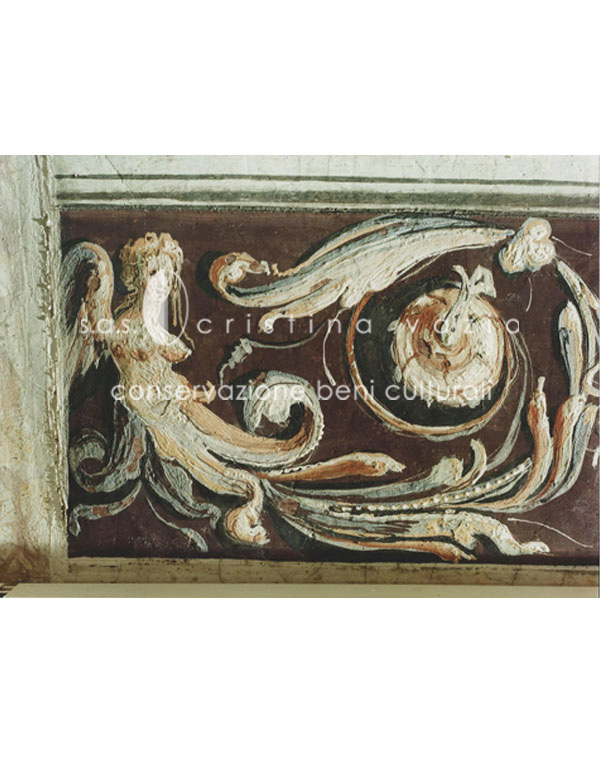 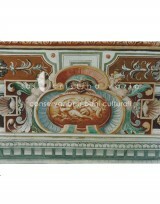 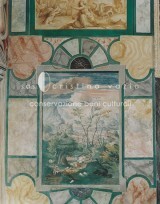 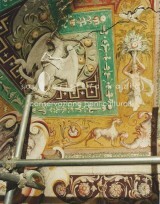 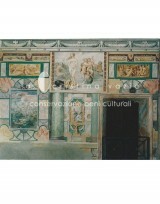 After the assessment of the stability of these breaks, the restoration of the entire fresco series was achieved.